Credit is extremely important in the modern age. Having a good credit score can mean the difference between getting approval for loans and lines of credit or getting denied. It can also mean the difference between getting an affordable interest rate on these financial products and getting a rate that’s prohibitively expensive. Unfortunately, bad things can happen to anyone. Life’s unfortunate events can have a serious impact on your credit score. The good news is that these negative items will eventually age off of your report. When they do, you’ll see a huge improvement in your score. We put together this helpful guide so that you know how long you need to wait before different types of negative credit report items get removed from your credit history. Use this information to get a better idea of how credit reporting works and to make the best plans for your financial future. How Long Do Remarks Stay on Credit Report? How Long Does Consumer Proposal Stay on Credit Report? How Long Does a Black Mark Stay on Credit Report? How Long Does Debt Stay on Your Credit Report? How Long Do Negatives Stay on Credit Report? How Long Does a Derogatory Stay on Your Credit Report? How Long Short Sale on Credit Report? How Long Do Missed Payments Stay on Credit Report? How Long Does a Delinquency Stay on Credit Report? How Long Do Medical Bills Stay on Your Credit Report? How Long Do Unpaid Credit Cards Stay on Credit Report? How Long Does Chapter 13 Stay on Credit Report? How Long Does a BK Stay on Credit Report? How Long for Bankruptcy Discharge to Show on Credit Report? How Long Does Chapter 7 Stay on Credit Report? How Long Does Student Loan Default Stay on Your Credit Report? 7 years for most loans. Until the loan is paid for Perkins loans. How Long Do Defaulted Student Loans Stay on Credit Report? 7 years for most loans. How Long Do Credit Inquiries Stay on Credit Report? How Long Does a Footprint Last on a Credit Report? How Long Do Collection and Charge-Offs Stay on Your Credit Report? How Long Before Collection Agency Reports to Credit Bureau? How Long Does a Charge Off Stay on Credit Report? How Long Do Repossessions Stay on Your Credit Report? How Long Does Car Repossession Stay on Your Credit Report? How Long Does Repossession Stay on Credit Report? How Long Do Settled Accounts Stay on Your Credit Report? How Long Does Tax Lien Stay on Credit Report? How Long Do Civil Judgements Stay on Your Credit Report? How Long Does a Judgement Stay on Your Credit Report? How Long Do Public Records Stay on Your Credit Report? 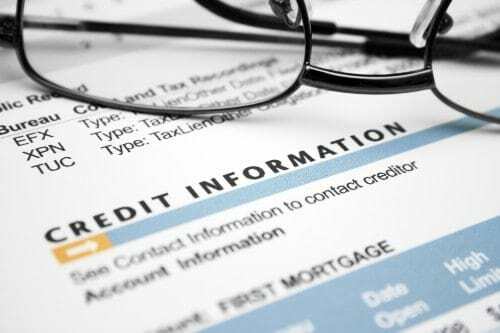 A credit report is a history of how you use financial products like loans and lines of credit. It tracks your completed payments, balances and limits, and other important financial information. If there’s a problem with your accounts, then you can get negative information entered on your credit report. This information will bring your credit score down. This section answers the basic questions you might have about how long different negative entries will stay on your credit report and affect your score. Different things stay on your credit report for different amounts of time. It depends what the entry is and how the company handles it. Different items stay on your credit report for different lengths of time. Also, sometimes companies are willing to remove negative entries from your credit reports if you convince them to do so with a letter of goodwill. If the account was closed because of a charge off, then it will stay on your report for 7 years. Closed accounts in good standing stay on your report for 10 years. That’s one of the reasons why you generally don’t want to close an account in good standing. Length of credit history plays a large role in determining your score. That means closing an account in good standing can lower your average age of credit. 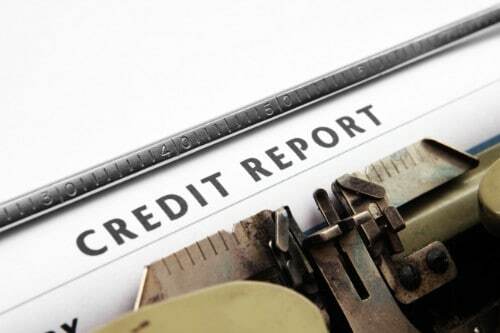 Bad credit is a description of your score, not the items on your report. Also, there are ways to improve your score even though the bad items remain on your report. There are options for consumers to help repair or fix their credit using credit repair services. Every kind of credit report entry has a different time period to stay on your report. Completed payments stay on your report forever. Most negative items stay on your report for 7 years. A consumer proposal stays on your report for 3 years from the time you complete it. That means if it takes you 3 years to pay off the proposal, then the proposal will stay on your report for 6 years total. Credit counseling doesn’t directly affect your credit score. However, if you settle a debt for less than you owe or negotiate a lower payment, that can hurt your score. Credit counseling will be noted on all the accounts you’re using credit counseling for. Therefore, it can stay on your report as long as those accounts are active. Most negative information stays on your credit report for 7 years. However, Chapter 7 bankruptcy stays for 10 years. Debt stays on your credit report for as long as you have the debt. Once you’ve finished paying the debt off and closed the account, it stays on your report for 10 years. Most negative items on your credit report stay there for 7 years. However, there are exceptions. Chapter 7 bankruptcy stays on your credit report for 10 years. Sometimes companies are willing to remove negative information if you successfully petition them with a letter of goodwill. Most negative information stays on your credit report for 7 years. Chapter 7 bankruptcy, also known as liquidation bankruptcy, stays on your credit history for 10 years. For most people, a home is the biggest investment they’ll ever make. As a result, most people need to take out a loan or mortgage to afford a new home. Unfortunately, sometimes bad things happen that can cause you to fall behind on your mortgage payments. This section has all of the information you need to understand how different housing-related credit items will age on your credit report. A foreclosure is also similar to the way that credit reporting agencies handle late payments and repossessions. In fact, a mortgage foreclosure is just a specific kind of repossession that targets your home. Lenders will try to sell your home once they’ve foreclosed on it. Some lenders will be able to charge you for the difference between the value of the property when it’s sold, and the amount left on your mortgage. There’s no federal regulations that govern how banks need to handle this situation. However, there are different state laws regarding foreclosures. Some banks will forgive any remaining debt after a foreclosure, while others will aggressively pursue a judgement against you to get the remainder of the balance paid. Another negative credit report entry that can happen regarding homes is known as a short sale. This happens when you sell your home for less than you owe on the mortgage. It was a very common event during the housing market collapse and recession around 2008. Since the property was sold, the bank can’t repossess it. However, you still owe a balance on your mortgage account. If you don’t pay off that balance, then the bank can seek a civil judgement against you to force payment. Sometimes a lender will forgive the remaining loan balance. Unlike some other financial products, there’s no federal regulation that governs how a bank must react to a short sale. There are different rules and regulations in different states. For example, some states prohibit banks from seeking a deficiency judgement against you for a short sale, while other states allow it. There is no way to avoid a short sale recording on your credit report. Moreover, a short sale can impact your credit by as much as 160 points. That’s a huge difference in your credit score. A short sale can be an unfortunate mark on your credit report, as it’s usually something beyond your control. Nevertheless, it stays on your report for 7 years. There are legal protections in place designed to shield people from accidents and accounting errors. While the rules for evictions change from state to state, the landlord has to go to court to show that you haven’t fulfilled your end of the lease. The court will look at lots of different factors before allowing an eviction. For example, some people may refuse to pay rent if their landlord isn’t maintaining the property according to the rental agreement. The court will see if the tenant has a legitimate reason to not pay their rent. However, if the tenant simply can’t afford the payments, or chooses not to pay, and the landlord is abiding by the contract, the court can allow the landlord to evict you. Everyone knows that it’s important to pay your bills on time. However, sometimes things happen and you miss a payment. These missed payments will hurt your credit score. The good news is that a missed or late payment doesn’t count in terms of credit until you’re at least 30 days late on it. The bad news is that these late payments can add up and seriously hurt your credit. Thankfully, these late payments will eventually age off of your credit report. If you miss payments on your debts, then the company may decide to report those missed payments to the credit reporting agencies. Missed payments stay on your report for 7 years unless you use a letter of goodwill to get a company to retract the credit report. Delinquent payments are the same thing as late payments. Like most credit entries, they stay on your report for 7 years. Sometimes companies will be willing to retract the statement under certain conditions. If you have missed or late payments on your medical bills, that information will stay on your report for 7 years. However, if you make your regular payments, then the information will age off 10 years once the account is closed. Late or missed credit card payments work just like most other types of negative information on a credit report. Therefore, they stay on your report for 7 years from the date of the first missed payment. A late payment shows up on your credit report and stays there for 7 years from the first missed payment. It’s important to understand what companies mean when they talk about late payments. Everyone has a bad day or can get distracted. Companies don’t report late payments that are only a day or two late. Instead, a late payment on your credit report is one that is more than 30 days late. That means you’ve missed an entire payment period. Credit agencies evaluate and factor in late payments for 30 day, 60 day, 90 day, and 120 day intervals. After 120 days, most agencies will send your account to collections. This is called a charge off. The company sells your account for a fraction of its value. Then it writes off the loss on its taxes. These charge offs and collections actions will show up on your credit report separately from the late or missed payment. Sometimes life throws everything it can at you. That can result in overwhelming debt that you’ll never be able to pay. Many people turn to bankruptcy in these times. Bankruptcy is a special legal action that protects you from collection attempts. There are several different kinds of bankruptcy, and you’ll want to talk to a bankruptcy lawyer to understand which option is best for your situation. Bankruptcy can have a huge impact on your credit score. Thankfully, a bankruptcy doesn’t stay on your credit report forever. This section has all the answers you need to understand how long bankruptcy will affect your credit. Chapter 13 bankruptcy is also called reorganization bankruptcy. When you declare Chapter 13, then the court oversees a restructuring of your debts. You get to keep your property, like homes and cars. When you engage Chapter 13 bankruptcy, you negotiate a payment plan. This plan must be approved by the court. The repayment plan lasts for 3 to 5 years. During that time, you need to make all of your payments. If you are able to do that and are current on your other debt payments, then you get to keep your property. Additionally, your debt is considered settled by the court. That means your creditors and lenders can come after you for more payments. They also can’t sell your account to a collection agency, and if they do the collection agency can’t collect on those debts. Chapter 13 is preferable to Chapter 7 bankruptcy because you get the chance to keep your property. That includes essential things like your home or car. It’s also less severe than Chapter 7 bankruptcy, which is why it doesn’t stay on your credit report for the same amount of time. Most types of bankruptcy, including Chapter 13 bankruptcy, stay on your credit report for 7 years from the date you settle the bankruptcy. However, Chapter 7 bankruptcy, also known as liquidation bankruptcy, stays on your report for 10 years. That’s because it’s a more severe form of bankruptcy. Chapter 13 and most types of bankruptcy stay on your credit report for 7 years from the date you complete your bankruptcy program. Chapter 7 bankruptcy is a bit different. Liquidation bankruptcy is more severe and stays on your report for 10 years. Every bankruptcy is different. Usually the process takes about 90 days. However, if you have an extremely complicated bankruptcy or if your creditors protest your discharge, then it can take longer. Once your bankruptcy is approved it will appear on your credit report. Chapter 7 bankruptcy is the most severe form of bankruptcy. When you declare and are approved for Chapter 7 bankruptcy, the court evaluates your possessions. It allows your creditors to liquidate those possessions to get back as much money as they can. However, one of the benefits of Chapter 7 bankruptcy is that all of your eligible outstanding debts are discharged. That means that, even if they don’t get back the full amount you owe, creditors can no longer come after you for payments. They are stuck with the money they get from selling your possessions and properties. Chapter 7 bankruptcy is usually used by consumers with a limited income. That’s because people want to keep their property. Also, companies want to get as much money as possible for your accounts. If you have a higher income, then you can use a type of bankruptcy called Chapter 13. Student loan debt is a growing problem in America. The price of school keeps going up. This means that more people fall behind or default on their student loans every day. This can have a huge impact on your credit score. This section gives the answers you need regarding student debt problems and your credit score. Student loan debt is the fastest growing type of debt in the country. It’s also one of the largest debts in terms of the overall amount of money owed. Additionally, most student loan debt can’t be discharged in bankruptcy. A Perkins loan is a special case for students and lenders. A Perkins loan is a type of federal loan that is distributed by colleges. It’s a need-based loan. The interest on a Perkins loan is deferred while a student is still in school. This type of loan stays on your credit report until it’s paied off. It’s also important to note that you can be delinquent on student loans multiple times over the course of the loan. If you get square with your student lender, and then fall behind on payments again, the lender will have to report that to the credit reporting agencies. That new mark will stay on your report for another 7 years. The exception is for federal Perkins loans. This is a need-based loans that universities distribute on behalf of the federal government. These loans will remain on your credit report until they are paid or discharged through a loan forgiveness program. Any time you apply for some kind of financial product, whether it’s a line of credit or a loan, the lender will check your credit. These checks show up on your credit report and play a role in determining your credit score. There are two types of credit checks. These are known as hard checks and soft checks. Soft checks don’t impact your score. Hard checks will lower your score a small amount. That’s because the act of seeking credit shows that you’re at a slightly higher risk of default on loans and lines of credit. The good news is that the impact is small. Also, the credit reporting agencies consider multiple checks for the same type of product as one check, so feel free to shop around to get the best rates. There are two different types of credit checks. These are known as hard credit checks and soft credit checks. A hard credit check is the type of mark that factors into your score. This is because when you are looking for or applying for credit it sends a signal that you need money for something. It’s important to note that these sorts of checks don’t impact your score very much. You may see a drop of 2-5 points. Also, you don’t get a penalty for each credit check. Inquiries for similar products are treated as one check. The other type of credit check is a soft credit check. This check will show up on your report, but it doesn’t affect your score. It’s the type of credit check companies use during the pre-approval process. Some companies also use it for internal evaluation purposes. Credit checks will stay on your report for two years. However, they only affect your credit score for 6 months. Also, they don’t have a strong impact on your credit score. A footprint, or credit inquiry stays on your report for one year. Multiple checks for the same product from different companies show up as one credit check only. Credit inquiries will remain on your report for two years. Soft credit checks don’t have any affect on your score at all. Hard credit checks don’t have a large impact on your score. Also, while they stay on your report for two years, they aren’t factored into your score after 6 months. When a bill doesn’t get paid for a long time it is sent to collections. Collection agencies are specialized businesses that buy outstanding debt from other companies. They pay less than the value of that debt and then try to collect the debt from the person that owes the money. These agencies frequently report their actions to credit reporting agencies. A charge-off happens when you are seriously late on your payments. It’s your creditor’s way of saying that they’ve given up all hope of getting you to pay your bill. Instead, they sell your account to a collection agency or simply write-off the loss. A charge-off has serious implications for your credit score. It shows creditors and lenders that you were unable to pay your bill for an extended period of time. Moreover, it shows them that you didn’t make any efforts to work out an alternative payment arrangement with the company. This will make lenders and creditors very hesitant to approve you for financial products in the future. There is one piece of good news here. The date that this item falls off your credit report is calculated according to the first missed payment from your original creditor. That means you might be rid of this troubling credit report entry sooner than you think! Collections efforts stay on your report for 7 years. The good news is that this date is calculated from your first missed payment with the original creditor. Therefore, this entry might not be on your report for as long as you fear. There’s no set amount of time that a collection agency has to report information to a credit bureau. Consumers do have 30 days to dispute a debt that is sent to collections. The agency can’t undertake any collection activities during this time. However, reporting to a credit agency doesn’t count as a collection activity. Some companies will agree to not report the collections if you pay the full amount upfront. Charge offs happen when someone doesn’t pay their bill for an extended period of time. The charge off stays on your credit report for 7 years from the time that you first missed a payment. That means it might only stay for 6.5 years or less, depending on when payments stopped being made. Anyone can forget or miss a bill once in a while. However, when someone misses many payments in a row on a loan for purchased property, then that property can be repossessed. The company or collection agency then collects the property and sells it back in an attempt to recoup the value of the loan. A repossession is similar to a charge-off. However, instead of writing off the value of the account and/or selling it to a collection agency, your lender repossesses the property that you took out a loan for. The company then sells that property in an effort to make back the value of their loan. It’s important to read the fine print of your loan contracts. Some companies can still bill you for the remainder of your balance even after they’ve repossessed your property. For example, if someone owes $10,000 on a car that gets repossessed, the company will sell that car. However, if the sale only brings in $8,000 then you still owe the lender $2,000. This can create a serious hassle for many consumers. Repos happen after someone doesn’t pay a bill for a long time. The time that a repossession stays on your report is calculated from when you first missed the payments that lead to the repossession. Therefore, the timeframe might not be 7 years from the date of the repossession, and instead can be a bit shorter. Car loan companies and dealerships have leeway when it comes to when they repossess a car. This action stays on your credit report for 7 years from the time of the first missed payment that lead to repossession. That means the actual time it stays on your report can vary. Repossessions are treated the same as a loan default. For credit reporting purposes, this date is calculated from the point when payments were first missed. For example, if you missed payments for 6 months before something was repossessed, then the repossession will be on your report for 6.5 years. If you agree to a debt settlement with a lender, that account will be recorded as paid less than owed. This entry stays on your credit report for 7 years and can act as a warning to other lenders and creditors. A debt settlement is a special type of financial arrangement. It usually happens when a borrower is unable to pay their bills for an extended period of time. The borrower can approach their creditor and offer a settlement agreement. A settlement agreement involves giving the lender a lump sum of money. The amount that the borrower offers is less than what they owe on the account. In return, the lender agrees to consider the debt settled. That means they can’t seek payments from you anymore. They also can’t sell your account to a collection agency. Taxes can be a huge source of debt for many people. That’s especially true now that more and more people work as 1099 employees and are responsible for their own taxes. The government can take special measures to collect on unpaid taxes. This is known as a tax lien. A tax lien is a special tool that the government has to collect unpaid tax money. What it means is that the government has the first rights to the proceeds of any sale of a property with a tax lien on it. They get the money before any other creditors do. For example, if you owe $50,000 in back taxes and the government might put a tax lien on your house. If you then sell that house for $200,000 then the government gets $50,000 of it. That leaves you with the remaining $150,000 to pay off any outstanding debts related to the property. This situation can result in the same outcome as a short sale. That’s because the tax lien might take up so much of the proceeds on the sale of the house that there isn’t enough money left to pay back what you owe on your mortgage. For example, if you owe $100,000 in back taxes, the government may put a tax lien on your house. If you sell the property for $150,000, the government gets the first $100,000 of that money. If you also still owe $80,000 on the mortgage, then you’ll still owe the mortgage holder another $30,000. Civil judgements are a specialized kind of debt collection. They result from a creditor, lender, or collection agency suing someone to enforce debt collection. Civil judgements are matters of public record. That means anyone can look them up at any time. A civil judgement is a special kind of court decision. Lenders and collection agencies can sue a consumer for non-payment of debts. This lawsuit becomes a public record. As a result, anyone can look it up and see the details of the case. The court will outline different steps that the collection agency or creditor can use to recoup the remaining balance on the account. Even worse, if you lose a civil judgement, then you’ll be required to pay court costs and attorney fees for the creditor. That can stack up to a huge pile of debt. A judgement is what happens when a court of law agrees to enforce a creditor’s claim that you owe them money. The court has several options on what they can do to allow the creditor to collect. Moreover, these judgements are public records, so they can be viewed by anyone. Public records are generated when a creditor or lender successfully sues to prove that they are owed a debt. This kind of action is usually done by collection agencies that buy bad debt from other companies. Because these records are public, they can be viewed by anyone. Civil judgements are court actions undertaken by debt holders. The court will make a determination on the legality of collection efforts and authorize steps to collect the debt. Like other negative entries, this impacts your credit score less the longer it stays on your report. While negative entries age off of your credit report, positive information doesn’t. Therefore, once you’ve moved past your negative information, you can still reap the benefits of the bills that you paid on time. Positive credit entries stick around forever. As you can see, most negative credit report entries take seven years to age off of your report. That’s a fairly long time, but it’s not forever. Moreover, there are options to help you improve your credit score if you have negative entries on your report. One of the most popular options is credit repair. Credit repair companies have the skills and experience to help improve your credit score. They can find ways to remove negative and inaccurate entries from your credit report. They can also help you find products that will boost your credit score, like secured credit cards. If your credit score has been damaged by negative entries and you can’t afford to wait for the item to age off of your report, try credit repair to see what they can do for you.